Solomon Islands most decorated footballer, Henry Fa’arodo is set for a Wellington homecoming after the player had agreed on personal terms with Wellington Olympic AFC. Now in the twilight stage of his career, Fa’arodo will once again grace the New Zealand football scene with his experience both off and on the pitch for the Wellington outfit in the Winter League. Wellington Olympic are currently occupying fifth position on the table in the Central Premier League. 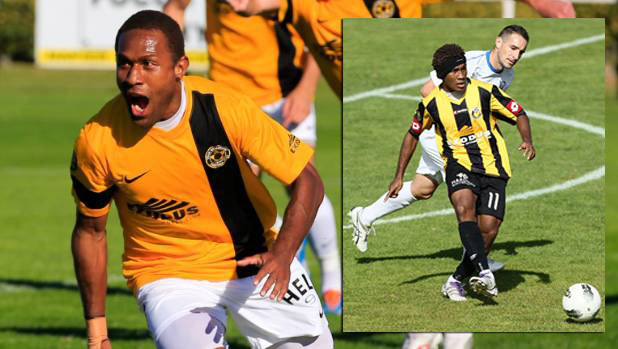 Fa’arodo’s signing means he will be the third Solomon Islander playing in the central league besides Havelock North Wanderer’s duo Gagame Feni and Ian Paia. The 35-year-old midfielder caught Wellington’s attention after his impressive campaign with Marist in the OFC Champions League. As part of the deal, Fa’arodo could be given a chance to play with Olympic’s sister club Team Wellington pending the outcome of his performances in the winter season. “I have been offered a great deal to go back to New Zealand,’ he told Star Sports in an interview. “I have agreed terms with Wellington Olympic who have ties with Team Wellington. He said if he convinces his coaches with his performance he can be given a chance to play in the FIFA Club World Cup with Team Wellington. “So the plan is to go there and keep playing and hopefully if I can have the chance than I’ll go and help out with the Team Wellington for the FIFA Club World Cup,” he said. Fa’arodo is not a new face in Team Wellington having been played for the newly crowned Oceania champions for three seasons. “For me if I am going there and do well in my football career and get a spot there, it will be a big bonus for me. “They know what I can bring to the team. “So I think for both of us it will be a win-win situation. “So the plan now is to go there and play with the club that is taking me in now and will try as much as possible to secure a spot in Team Wellington,’’ the evergreen footballer said. The star player also described the opportunity to move back to New Zealand as his one last shot before hanging up his shoes. “This offer is kind a like surprising one at the same time it’s a lucky one for me. He said he had made his decision to finish off his international career and continue with his club commitment. “I am doing what I am planning to do. He also expressed his excitement to take one more step ahead in his football career. He said the opportunity to go back to New Zealand will also provide a great opportunity for his family to move to New Zealand as well. “Things like these will also bring more opportunities for my family as well as my coaching career which I am looking forward for,” he said. Fa’arodo is expected to leave the country as soon as he receives his NZ visa.